In Body Drama, Redd gives girls insight into the issues they're often too ashamed to raise with a doctor or parent. She also reveals her own experiences with the culture of "American beauty," and shows readers all the many versions of "normal." 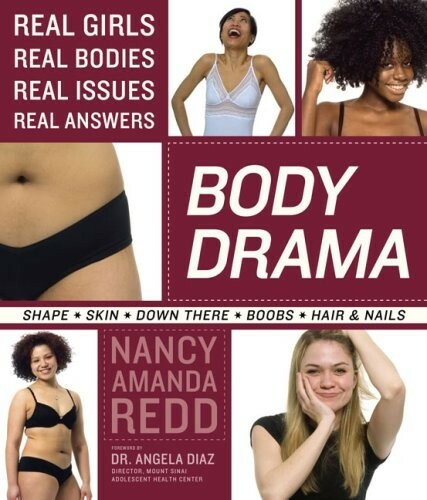 From body hair and bras, to acne and weight issues, along with crucial issues such as the importance of a healthy self image, Body Drama is a groundbreaking book packed with informative fast facts, FYIs, how-tos, and moving personal anecdotes, It also features hundreds of un-retouched photographs of women of all shapes and sizes which illustrate all parts of their bodies. A highly visual book, it's the first of its kind for women: filled with real information and real photographs of real bodies, to celebrate all our different shapes and sizes. For more books for girls of all ages on body image-related issues, visit A Mighty Girl's Body Image section.